Here we are in the middle of January.....time is getting away from me again ! you must have seen these 'messy bun hats' doing the rounds on the internet. I already sold 2 & i don't even have the pattern down on paper, Lucky for me, my customer is willing to wait so i thought it would be perfect timing to knit these over January & February. I really like the look of the crochet hat above(not my image) i found it on Google ! The stitch & texture looks gorgeous. I don't do crochet so I will try to find a similar knit stitch pattern from my stitch bible & include the pattern here. I think 2 skeins will do it for each hat as the top of the hat has very little decrease shaping. I'm planning on knitting it with 2 yarns together so the hat is thick n warm. My customer chose these colours, i would liked to have knit it in a natural white to really show the texture. I will take a picture of the finished hat in natural light so you can see as much stitch detail as possible so you can knit your own Shetland Messy Bun hat. As you can see I'm starting with the Emsket wool. Sorry about the picture quality the Ipad is fogging up due to the cold weather ! Wool needle to sew in ends. With 4.00mm & 2 strands of Shetland wool yarn cast on 92sts. Join to work in the rnd, place a stitch marker to mark the start of the rnd & proceed to knit the ribbed edge. Work K2, P2 for 10 rnds. 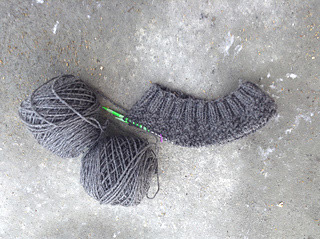 Change to 4.5 mm's & Knit following pattern until work measures 6.5'' TO 7'' inches from cast on edge. Rnd's 1 & 2: k2, P2 all sts. Rnd's 3 & 4: P2, k2 all sts. Repeat these 4 rnds.....that simple ! You have decreased the number of sts by 50% down to 46 sts. RND 4: work rnd 4 of pattern. The opening across the top measures 3'' inches across when laid flat. The knitting tension on this hat is: 18 sts = 4'' inch X 28 rows =4''inches. 2 Messy Buns Complete ! 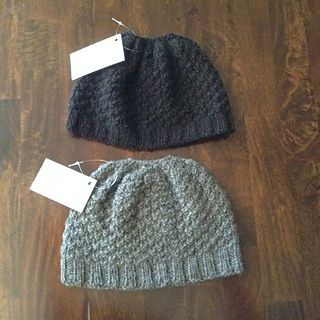 When you knit these hats from real wool you can see all the stitch details & the texture is amazing. 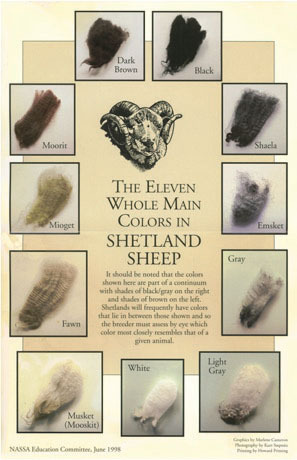 No need to block wool, simply wash lay flat to dry & give it a light press. 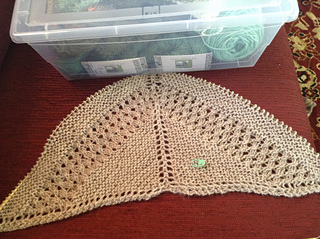 Musket - 'Cables & lace' Shetland shawl.....another Shetland project I'm working on for a later blog post. I may even add some pure Musk ox - Qiviut to this shawl to make it just that little more special watch this space ! I don't have long hair anymore so I don't need a bun hat but I'd still like to post a comment to say how wonderful it is that you do these giveaways. So generous of you! I won one a couple of years ago for qiviut mill ends. I made a pure qiviut cancer hat for a friend, added a strand to some qiviut my husband bought from you to make a hat and wrist warmers for me, and still had lots left over to line a few pairs of mittens. So warm and cozy. Thank you so much! Thank you Alyse. I do these giveaways to give back to the knitting community that has been so good to my family & I over these past 10 years. Thank you for being a wonderful customer ! I love the emsket color! 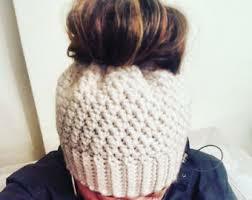 After years of growing my hair out, it's just about long enough to put in a bun with a hat like this. Thanks for doing this giveaway! 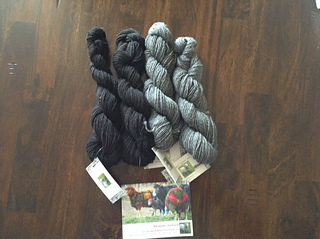 please contact me with your details so i can mail your yarns. Hello, please send meyour mailing address, name...thanks ! Ooooh! I love the natural colours of shetland yarn. I would look fantastic with a messy bun hat of moorit since my hair is dark auburn. Then again, gray would look great too! I would love to knit in mooritz!! Perfect for red hair. Lovely! I would knit it in white! Hello thank you for the opportunity. I would love to knit it in Grey please. Entry #11, your number was drawn in 2nd place. Please contact me with your details. Congratulations. Great natural colors! I think Musket would be just beautiful for a small hat. They are all such interesting colours, but maybe a shaela hat would be of most use right now. Thanks! These are all fabulous colours. I would like to make the hat in emsket as it is so nice.